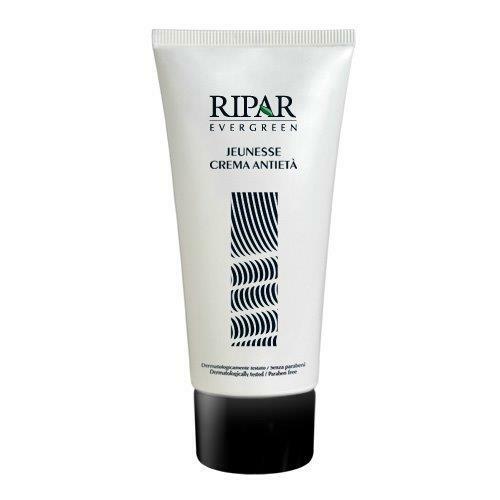 Ripar Evergreen Jeunesse Anti-Aging Cream is a regenerating lotion active against the signs of aging, thanks to the ability of the peptides to stimulate the synthesis of collagen and renew the skin. Its formula rich in functional emollient ingredients (shea butter, apricot oil, rice bran oil) counteracts skin dryness and preserves the integrity of the hydrolipidic film, keeping the skin supple and hydrated. Its full-bodied and non greasy texture makes it suitable for both day and night use. Cream, then apply the right amount of Ripar Jeunesse Anti-Aging Cream on the face and neck and massage gently until absorbed.